Charles Strouse was most commonly known for his impressive musical talents. He wrote the opera "The Future of the American Musical Theater," presented at the Northwood Institute, Midland, Michigan campus. In 1977, he directed the ASCAP workshop for young composers in NY. Strouse began his entertainment career with his music featured in films like "The Mating Game" (1959), "Bonnie and Clyde" (1967) with Warren Beatty and the western "There Was a Crooked Man" (1970) with Kirk Douglas. His music also appeared in the comedy "Just Tell Me What You Want" (1980) with Ali MacGraw. Strouse won a Primetime Emmy Award for "Bye Bye Birdie" in 1996. Strouse won a Musical Tony Award in 1970. 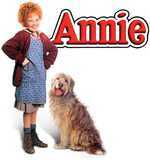 Strouse was nominated for an Original Song BAFTA Award for "Annie" in 1982. In the eighties and the nineties, Strouse's music continued to appear on the silver screen, including in films like "All Dogs Go to Heaven" (1989) with Dom DeLuise, "Jungle Fever" (1991) and the Danny Aiello action film "29th Street" (1991). His work was also in "Year of the Comet" (1992) with Penelope Ann Miller. Strouse's music was also featured in the comedy "Edtv" (1999) with Matthew McConaughey, the action flick "Pushing Tin" (1999) with John Cusack and the Meg Ryan dramatic adaptation "Hanging Up" (2000). His music was also featured in the dramatic adaptation "Kissing Jessica Stein" (2002) with Jennifer Westfeldt and the Mike Myers smash hit comedy sequel "Austin Powers in Goldmember" (2002). Strouse's music was most recently used in "Charlie Bartlett" (2008). Strouse had two children. Composed the theme music for the TV series "All in the Family"
Strouse has lectured at the Northwood Institue in Dallas.